The classic Fireworks album is 25 years old! To celebrate it’s been remastered and rereleased and is available on both vinyl and CD limited editions -pre order it now! We’re also offering a special day out with Ian or your name on the album! Each tune on the 12 track album could have been a single and the melodic energy has stood the test of time, mostly due to Gary Langan’s superb production. If you buy the remastered CD version b-sides & previously unreleased demos will be included. The album will be sent out in the first weeks of February. The first 100 people to order CD or vinyl will get a free 15-track live bootleg CD of Pele in their full majesty from various shows! Finally we can announce that there will be a brand new album this year! And we need you lovely people to pre-order the record to assist us with the release. As you will be aware, making and releasing records is an expensive business so we’ve decided to run another pledge-style campaign after the last one for Who Loves Ya Baby was such a success. The new record will be called Compañeros and Ian describes it as ‘One of the most listenable records we’ve ever made, an album with a twist, full of exceptional songs’. It is due for release on Friday 18 September. 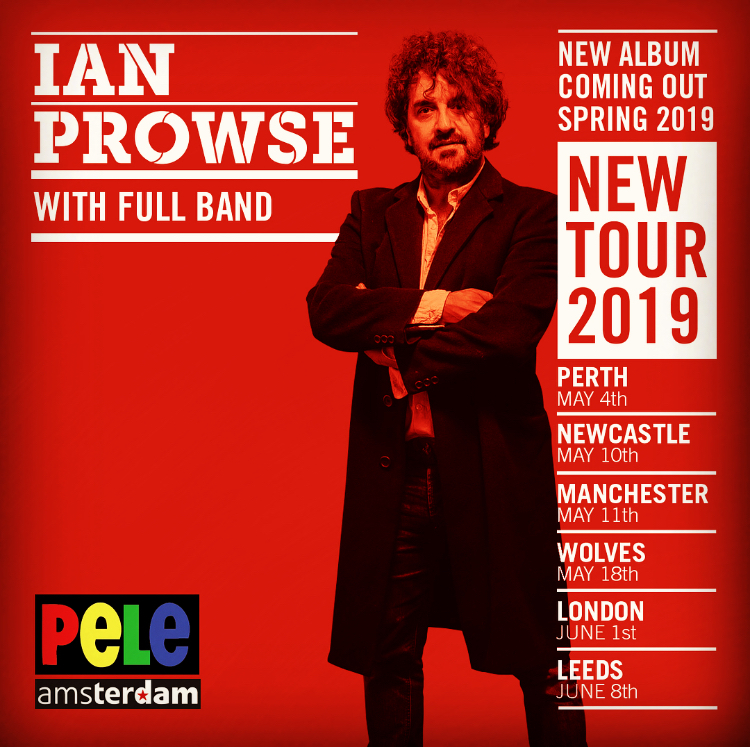 Apart from pre-ordering Compañeros, you can once again also book onto the Prowsey’s Historical Music Tour, have your favourite Ian Prowse song written out and signed by his own hand, have your name on the actual album notes or even have Ian around to your house for a special personal concert. Also, for the first time ever, Ian is making available the songs of his very first band When in Rome. The school band, which lasted for seven years, came very close to a recording deal before splitting up in 1988. The 11-song demo CD, of songs you haven’t heard before, is a fascinating insight into Ian’s musical start and a must for any Prowsey completist.